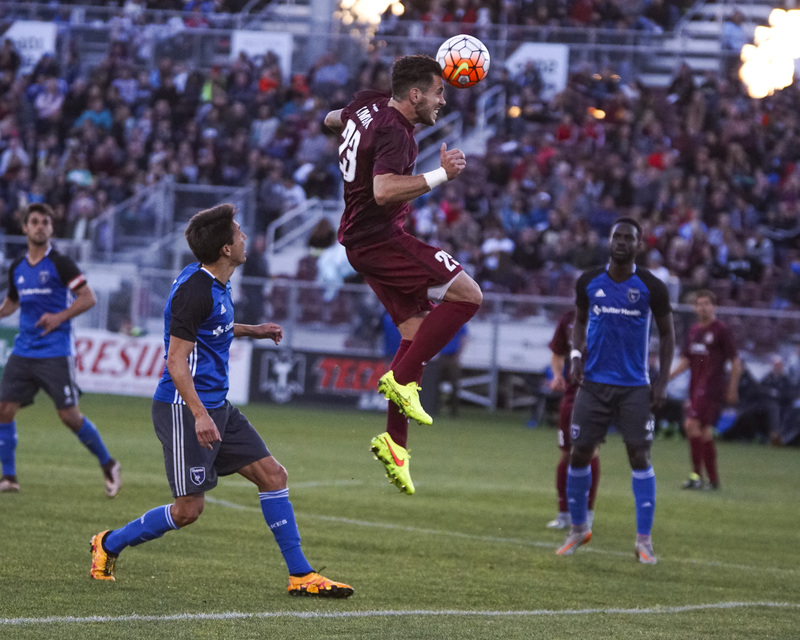 Goals from Trevin Caesar, Tyler Blackwood and Sammy Ochoa put Republic FC ahead early, but a late trio of goals, including a brace from former Republic FC forward Mackenzie Pridham, salvaged a draw for Reno 1868 FC. Republic FC started the game quickly, keeping possession and seeing many good looks on goal. Republic FC would open the scoring in the 17th minute. Defender James Kiffe took the ball toward goal on the top left side of the box, before sending it back to midfielder Tyler Blackwood who was making a run behind him. Blackwood then played a one-two with forward Sammy Ochoa at the corner of the box, receiving the ball back on the left side of the box. Blackwood then played the ball across goal to forward Trevin Caesar who was making a run in the middle of the box and just flicked the ball with the outside of his foot and past goalkeeper Matt Bersano, putting Republic FC ahead 1-0. In the 20th minute, Blackwood stole the ball in the middle of the field and took a few touches down the middle of the pitch. 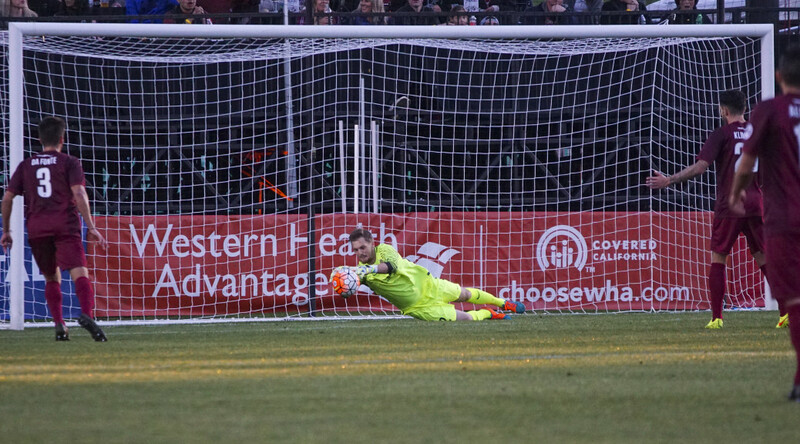 Blackwood then unleashed a strong right-footed shot that beat Bersano, making the score 2-0 in favor of Republic FC. Republic FC would increase their lead again in the 25th minute. After a corner went long, defender Elliott Hord stole the ball, taking it from box-to-box before laying the ball off to Caesar who was sprinting down the middle of the field. Caesar was then taken down in the box as he attempted a shot, earning a penalty. 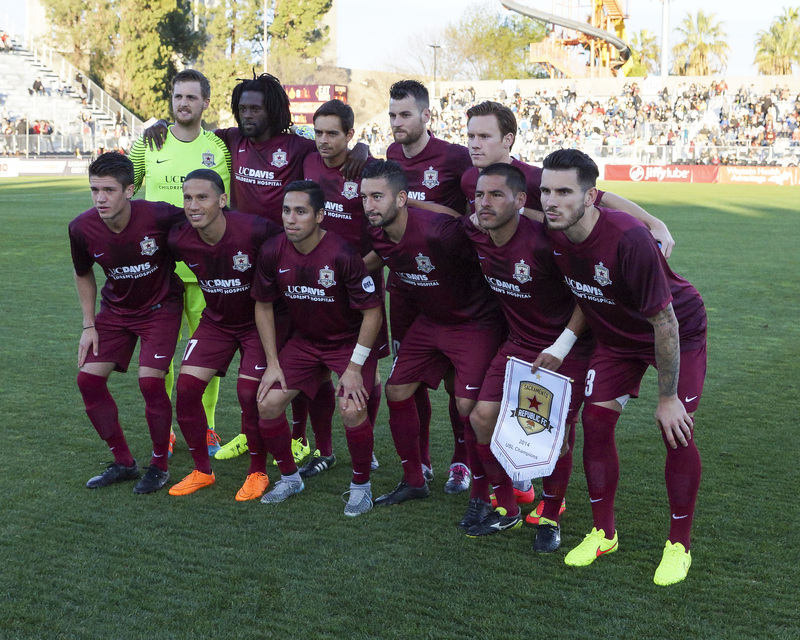 Ochoa stepped up and calmly slid the ball into the left side of the goal, while Bersano dove right, putting Republic FC ahead 3-0. Reno 1868 FC would get a goal back in the 41st minute. Midfielder Antoine Hoppenot received the ball in the middle of the field before sending the ball wide to forward Dane Kelly who was making a run on the right side of the box. Kelly then sent a grounded ball to forward Mackenzie Pridham who was open in the middle of the box. Pridham settled the ball and then sent the ball into the goal, making the score 3-1 going into the half. The second half started much like the first with Republic FC maintaining a majority possession. In the 67th minute Republic FC would see their best chance to increase their lead in the second half. Substitute forward Wilson Kneeshaw was played open by a long ball down the left side from Kiffe. Kneeshaw then went one-on-one with Bersano, but the keeper was quick to the ground and blocked the shot, clearing it from danger. 1868 FC would counter the Kneeshaw shot with a goal to pull themselves within one. After the ball was cleared, Pridham received the ball in the middle of the field. The former Republic FC forward took a few touches toward goal before sending a strike on goal. Goalkeeper Evan Newton was able to block Pridham’s shot, but only as far as Kelly who was following the play and tapped the ball into the net making the score 3-2. Reno would score their third and final goal of the night in the 88th minute. 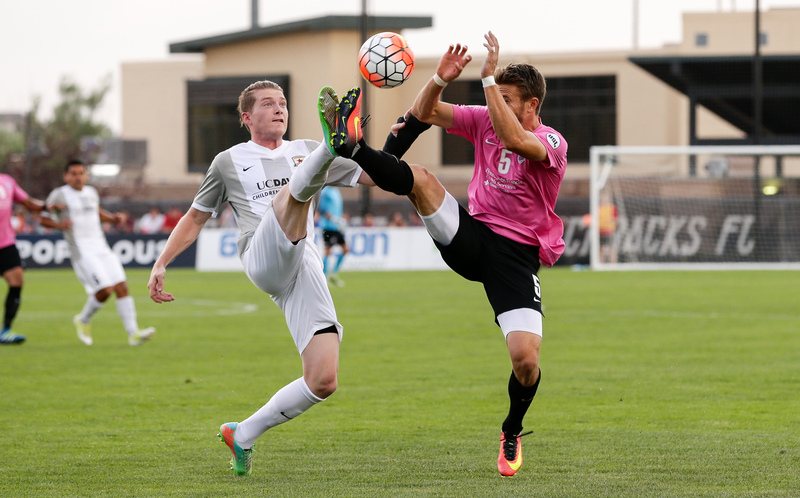 Former Republic FC midfielder Matt LaGrassa sent a long ball to the middle of the box, toward forward Brian Brown. The substitute forward chested the ball to Pridham who had found space behind the defense and send a strong shot past Newton and into the back of the net, ending the match in a 3-3 draw. 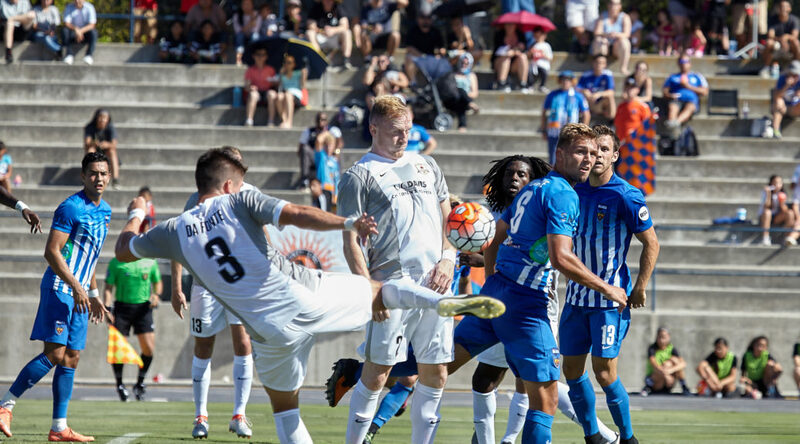 Sacramento Republic FC earn a road point after four goals are scored in the final 20 minutes of a dramatic affair with Orange County Blues FC. Orange County Blues FC controlled most of the possession in the first 20 minutes of the match, but it was Sacramento Republic FC who struck first on a corner kick in the 21st minute. Midfielder Danny Barrera played a short corner to Alfonso Motagalvan, who sprinted toward the corner flag. Motagalvan then played the ball back to Barrera, who sent a cross to the far post toward Mike da Fonte. The defender sent a one-touch, right-footed volley that hit the inside of the right post and found the back of the net to give Republic FC an early 1-0 lead, which would hold until halftime. 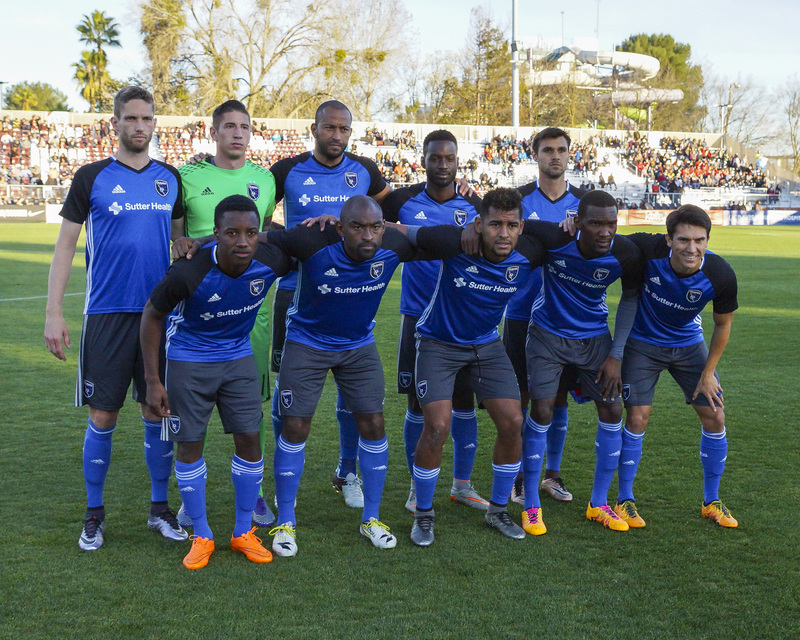 The second half started with Republic FC as the aggressor, but this time it was the Blues that struck first. The Blues drew a penalty in the 50th minute after defender Brenton Griffiths was brought down in the box while attempting to get his head on a corner kick. Midfielder Didier Crettenand stepped up to the take the penalty, rolling the ball into the right corner of the goal while goalkeeper Evan Newton dove left, leveling the score at 1-1. The Blues found the net again in the 72nd minute. Former Republic FC midfielder Ivan Mirković played a ball through on the left side to substitute forward Akwafei Ajeakwa, who settled the ball on the far left side of the box before sending a cross toward the back post. Trevin Caesar jumped in the air and sent a right-footed volley past Newton to put the Blues ahead 2-1. Republic FC wasted no time in responding, finding an equalizer in the 79th minute. Barrera took a corner again, this time playing it to the near post. Forward Cameron Iwasa beat his man to the ball, jumping high in the air to head the ball into the goal, to even the score to 2-2. The Blues once again took the lead in the 81st minute. About 20 yards from goal, near the top of the penalty area on the left side, Ajeakwa was taken down for a free kick. Two Blues players created a slight opening in the wall on Crettenand’s ensuing free kick, which the midfielder used as he hit a hard shot into the top right corner of the goal, giving the Blues a 3-2 lead. 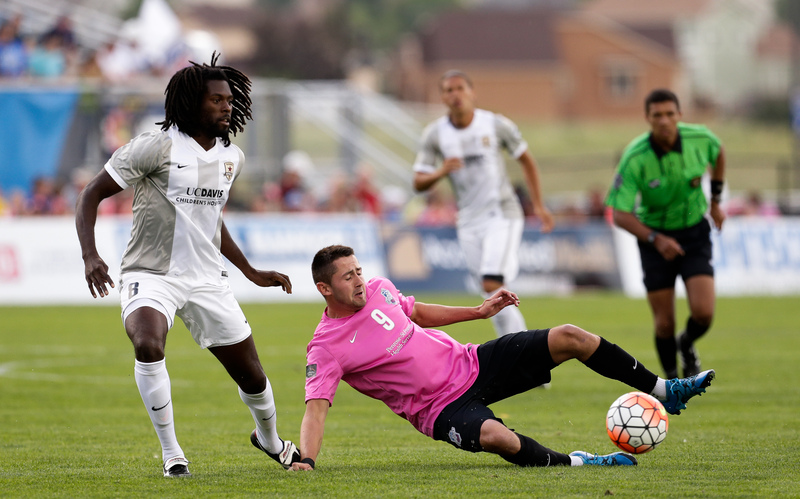 Republic FC once again responded quickly, finding another equalizer in the 83rd minute. Defender James Kiffe played the ball up the left side of the field to Max Alvarez. The substitute midfielder took the pass and immediately crossed the ball into the box, bouncing pas Iwasa and finding substitute forward Mackenzie Pridham. Pridham’s left-footed volley found the upper left corner of the goal and past the diving Josh Cohen making the score 3-3. 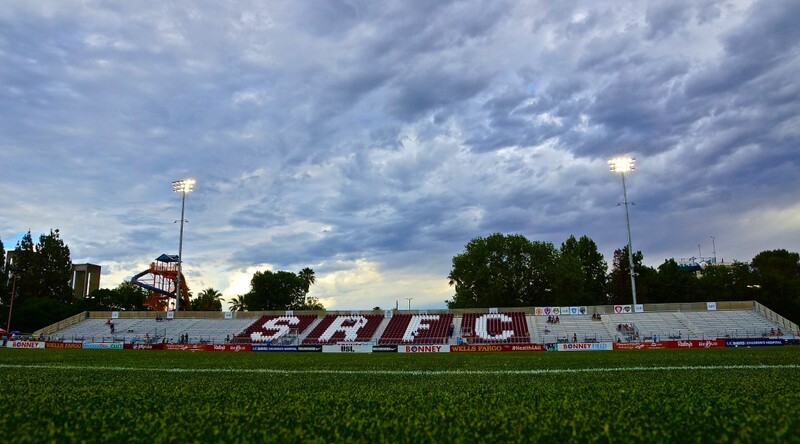 Republic FC will continue their five-match road stretch when they travel to Colorado Springs, Colo. and take on Colorado Springs Switchbacks FC on July Saturday, 16. Kickoff is 6 p.m. The match will be streamed live at SacRepublicFC.com/matchday. 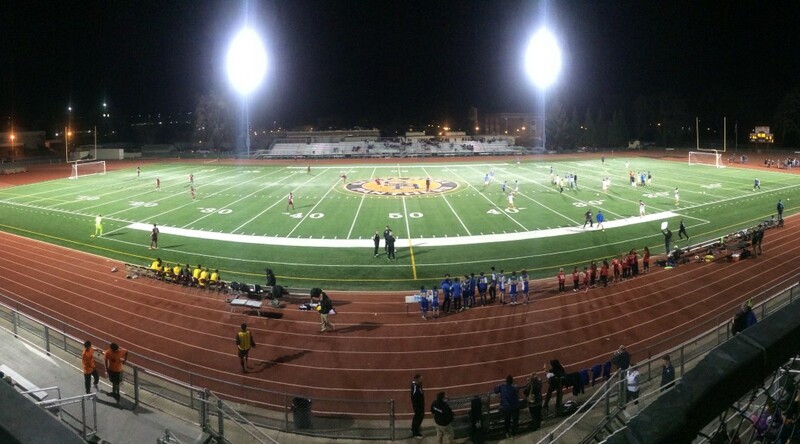 Sacramento Republic FC fell 2-1 to the San Jose Earthquakes at Bonney Field in their second preseason friendly of 2016. The Quakes enjoyed possession in the first few minutes of the match, but it was Republic FC who would get on the score sheet first when in just the 8th minute midfielder Max Alvarez sped up the right wing and sent in a flat cross for forward Mackenzie Pridham, who sent the ball into the back of the net to put Republic FC ahead 1-0. The Earthquakes responded by slowing down the pace of the match trying to break through Republic FC’s defense but Sacramento did well to absorb the pressure and stop any dangerous plays from San Jose. 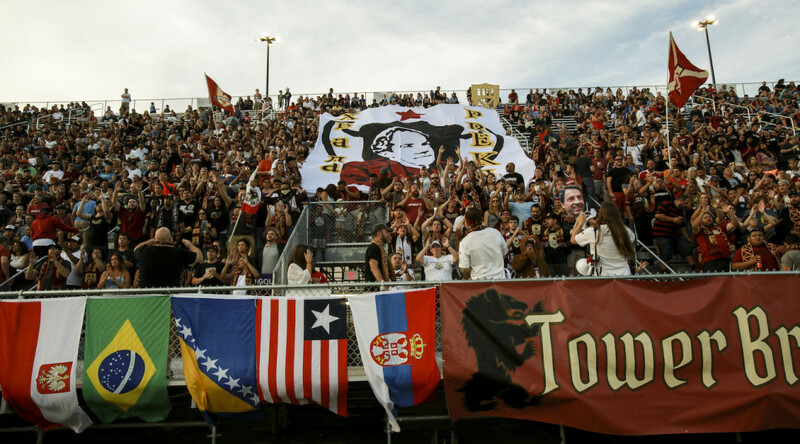 In the 18th minute Republic FC had their second serious attack of the match. On a counter attack Pridham found midfielder Octavio Guzman with a through ball. Guzman then sent a cross to forward Thomas Stewart, but his shot was just wide of Earthquakes goalkeeper David Bingham. During the play, Earthquakes’ midfielder Cordell Cato went down with no contact and had to be subbed off in the 20th minute, with midfielder Tommy Thompson coming on in his place. In the second half, San Jose came out revitalized looking for the equalizer. 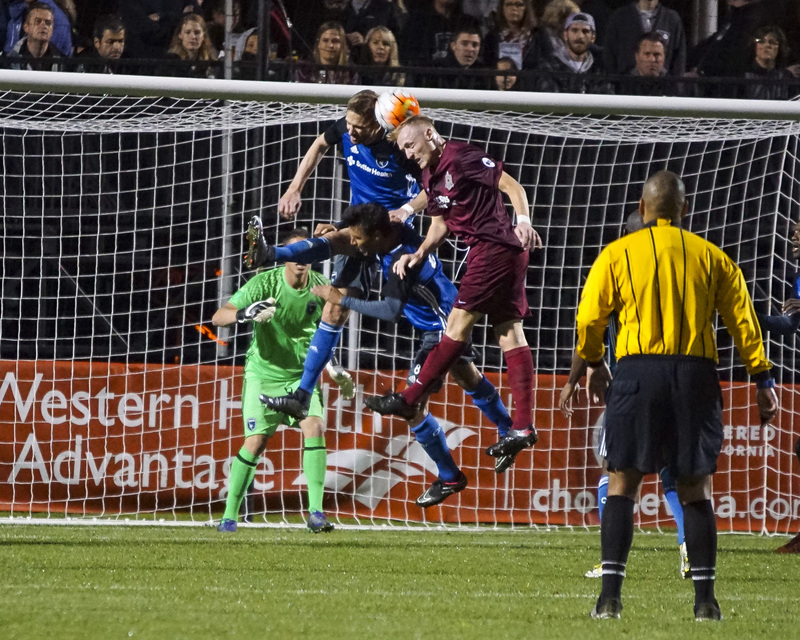 The Earthquakes’ continuous pressure paid off in the 51st minute when Thompson shook off Republic FC’s defense and sent in a great cross to forward Quincy Amarikwa who tapped the ball past Republic FC goalkeeper Evan Newton to tie the game 1-1. In the 55th minute, Thompson again slipped past the Republic FC defense, but this time the backline was able to clear the ball out of danger. 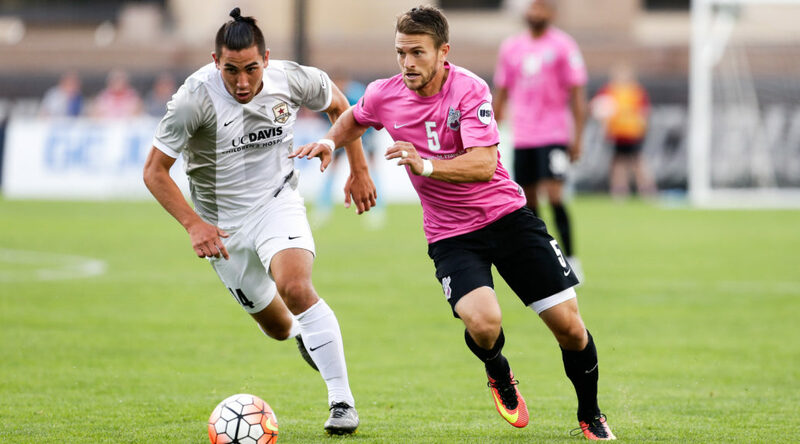 Republic FC responded right after, with defender Emrah Klimenta finding an unmarked Guzman right outside the 18-yard box but Guzman’s shot went straight to Bingham. Both teams had a few good looks on goal afterwards, with a great chance for Republic FC in the 71st minute when San Jose’s defense failed to clear a ball and Alvarez found himself unmarked just outside the 18-yard box but the Republic FC midfielder couldn’t get a good shot on goal. The Earthquakes would take the lead in the 86th minute when Amarikwa sent in a powerful header past Newton after a cross from Earthquakes’ defender Kip Colvey. The score put the Quakes ahead 2-1 for good. 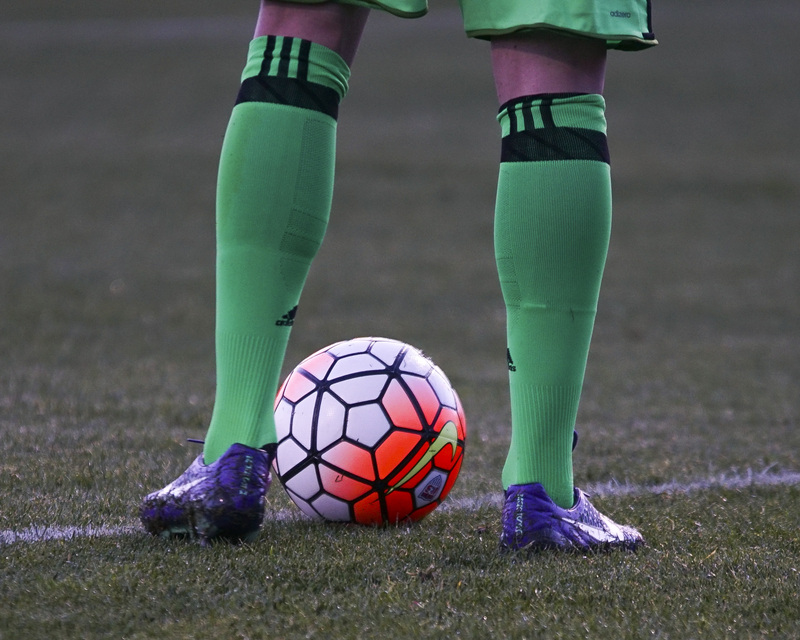 Republic FC is back in action on Wednesday, Feb. 24, when they take on Sacramento State. The match will be played at Hornet Field on the campus of Sacramento State and kicks off at 3 p.m. Tickets are on sale at csus.edu/hornettickets.